Cities are complex patchworks of infrastructures that include electric grids, natural gas distribution systems, water distribution networks, telecommunications systems, transportation networks, and buildings that can be built or modified to maximize energy efficiency. These systems are highly interdependent. Water systems, transportation, buildings, and telecommunications all need safe and reliable delivery of electricity. While these systems need to be increasingly integrated, they are often structurally and institutionally isolated, subject to different regulatory regimes and managed by siloed departments and private utilities. The objective of the smart or smarter city should be to integrate the goals, operations, or management of essential functions and infrastructures to improve services, lower costs, and create new opportunities for people, business, and government. To explore the possibilities of this new world, EFI has partnered with Dentons, the world’s largest law firm, to create a new Smart Cities think tank. We convened for the first time last month in Washington, DC, for a Smart Cities Summit, the first of several such convocations planned in 2018-19. Blockchain is a widely-hyped — but potentially disruptive — distributed ledger technology. The technology acts as a software for managing large volumes of transactions, settled quickly, securely, and at relatively low cost. This IT-based system can help firms streamline essential business processes and eliminate redundancies and costs of multiple systems – where the digital world can make the physical world operate more efficiently and effectively, enhancing the quality of life for city residents. Blockchain is not just buzz, it is an existing – and exciting — technology being utilized in real-world operating environments, with applications across the smart city value chain. For example, Brooklyn based LO3 Energy and their partners have created Exergy, a blockchain-based platform which allows its users to decide when and where they will buy their electricity. This platform has helped groups such as the Brooklyn Microgrid to choose their preferred energy sources and lower their electricity bills. EFI estimates that there has been $100 to $300 million dollars invested in over 100 energy-sector blockchain applications since 2014. The pairing of smart cities efforts and blockchain technology creates operations that are greater than the sum of their parts — the ability to make systems more efficient, effective, and reliable, creating cross-cutting ecosystems of information, shared by a range of disparate but connected people, services, and businesses. 1) What are the unique benefits of blockchain compared to other systems? 2) What energy sectors stand to gain the most from blockchain technology? 3) How should regulator and policymakers engage the blockchain energy discussion and how may that benefit adoption? Thanks for including the interesting Energy Futures Initiative report on potential blockchain applications in the energy sector. 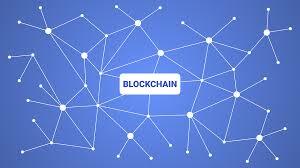 I am new to the blockchain area and it was informative to read about what blockchain technology may offer for enabling distributed recording and management of transactions in the energy area, and the issues and challenges associated with implementing this for different applications. The report discusses potential areas of blockchain application such as distributed energy resources in microgrids and developing countries, and individuals using distributed private charging stations for electric vehicles. My high-level view is that this blockchain approach is likely only viable when a centralized authority could not manage the problem area efficiently itself. I could see blockchain management of transactions between peers in a microgrid without going through the electric utility grid being an approach worth considering, but one would have to evaluate whether the microgrid selling excess power to the utility and letting the utility manage the overall distribution of power in the community is not a better alternative. Using blockchain technology to facilitate the use of privately-owned charging stations as the report points out involves highly-problematic local traffic and zoning issues. I think it makes more sense for oil companies to offer charging stations at all their existing service stations than trying to implement complex blockchain-technology enabled individually-owned charging stations. Blockchain technology is difficult to assess and has broad ramifications when implemented on a large scale. The initial application of it for the Bitcoin cryptocurrency has created a vast speculative market that consumes as much energy as the country of Denmark resulting in more problems for society than benefits. It seems to me before implementing blockchain technology for energy applications there needs to be comprehensive analysis of the alternatives and clear demonstration of the viability and benefits of blockchains in pilot projects before implementations on a large scale. I think there may be applications of blockchain in the energy sector in the future but the search for applications of this technology should not outweigh the real understanding of its benefits versus alternatives and issues that can arise in its implementation. It has always been unclear to me what problem is solved by blockchain. For example, it allows distributed transaction between energy entities (consumers, producers, etc. ), but those entities would still need to be able to find each other in order to transact. This would presumably occur in some kind of marketplace (think Amazon for energy transactions)…and if the transactions occur in a centralized marketplace it is unclear why transactions would need to use a distributed ledger. I keep trying to figure out what I’m missing in all this, but I have yet to find it. I have seen some arguments for where blockchain could be beneficial for distributed transactions with carbon and energy efficiency credits, and I can see some argument there. But the motivation for energy transactions remains unclear to me.